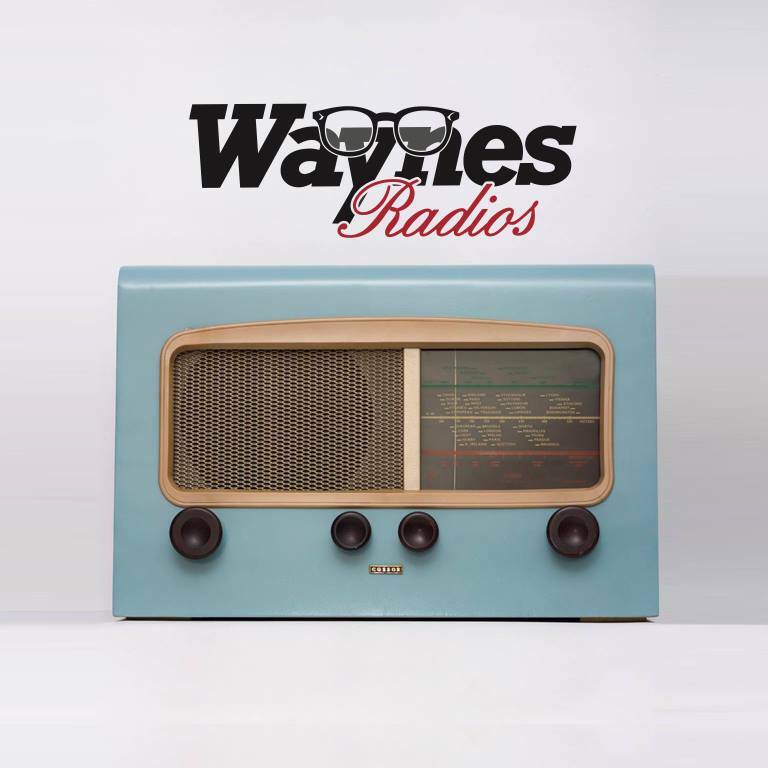 Wayne’s Radios come in all shapes and sizes. We repair, restore and modify Vintage radios from the thirties to the seventies. Our aim is to combine the convenience of music from mp3 or iPhone with the beauty of distinctive vintage styling. Whenever possible, we retain the wonderful warm sound of the original valve. Prices from £80 to £350 including delivery, depending on age, size and rarity. Ask for our Guide Price List or tell us what you’re looking for. I don’t suppose you stock parts for Cossor radios? In particular I happen to be looking for a dial glass for a Cossor 464AC model and also the dial knob on the right hand side for tuning? Sorry about the delay in responding to you. I set off to find out if we had a Cossor 464AC in the storeroom because I’m sure I’ve seen one and then as I couldn’t find it forgot about getting back to you to let you know. I hope in the meantime you’ve managed to find your missing bits. If you haven’t I will keep my eyes out and if I find anything will be in touch. I’m looking for a Roberts radio in Mustard. Do you have anything available at the moment – or could keep my details you notify me when you do? … Maybe an Olive Green too, if you could let me know? Are you still interested in a mustard Roberts Radio? I have a ric 2 in really good condition ser no 38576 in mustard any offers? HI Wayne i have a ferranti 145 in good shape I live in Ireland though let me know if your interested. Thanks for letting us know but we’re not buying one off new radios at the moment unless we have a buyer lined up. I have an Ultra ET415 in working order, a bit “Hummy” but all seems to work OK with a decent aerial. Wayne could have a look at it, although they do often hum. It can be adapted to play from an aux input. Or, were you just after selling it? Well, where to start. The value depends on many factors. Probably somewhere in the region of £60 possibly more if the right buyer comes along and it’s in really exceptional condition.